Here at Clean Cut Creations we do a lot more than work on cars. We also perform a lot of Vintage Collectable Restorations. A number of our clients have an interest in all things vintage and old and so do we! We are able to provide restoration services for many of their other collectibles as well. 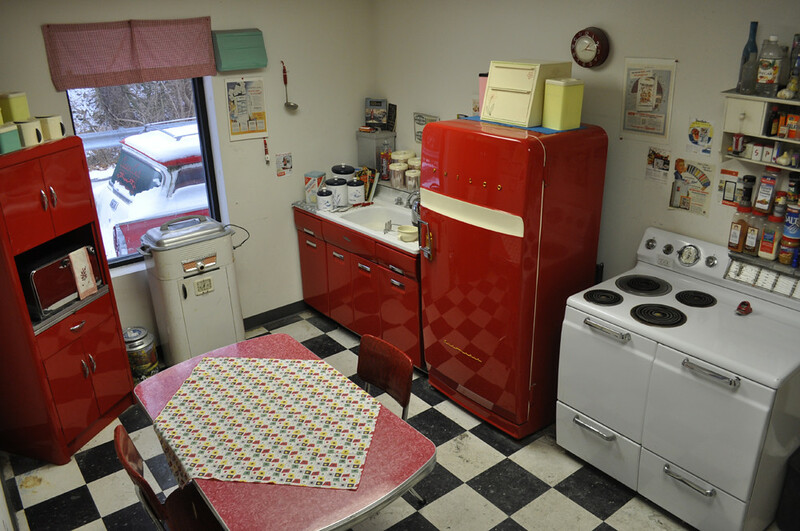 It started with us restoring peddle cars, fridges, Coke machines and other various vintage items for our selves. We would go to sales or flea markets and find a lot of great old items that just needed a little love or we could never find a complete matching set of kitchen tins. Whatever the case maybe, those are just the items that we started looking for and restoring. We’ve saved a lot of items form the scrap yard, some people would discard vintage items that were damaged or not part of a complete set, believing that they had no value or diminished value because of their poor condition. Lucky for us and you metal is metal, paint is paint, a dent is a dent whether it’s on a classic car or a vintage refrigerator. We can apply our restoration skills to earthier item and get some fantastic results. Just like the classic cars that we restore some of these vintage treasures are stock restorations, meaning we restore them back to the way they were when they were new. Some are custom, with different colors and color combinations that were not available when they were new. We’ve painted hot rod flames on a fridge, metal flaked a rocking chair & turned a fridge in to a Harley Davidson gas pump kegerator. Follow the links on this page to check out all of the Vintage Items we’ve restored.